I have said it many times over the years, I am amazed at the reach of this space, and the people it brings into my life. I feel very lucky to have so many wonderful people who visit this space every day, to read, to comment, to share in our days. Big thanks to all of you. One of the people who visit is Simone Davies from The Montessori Notebook. A few months ago she contacted me to ask if she could use an image from my blog for an e-course she was creating. The photo was from our backyard play space, and would be used in the section on creating outdoor spaces for children. Of course I said yes. Recently she sent me the finished e-course, and I had the chance to take a quick peek, it is amazing! 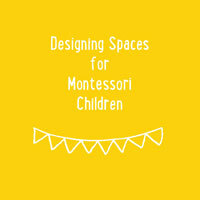 As a thank you for using my image Simone has offered up one space in her e-course Designing Spaces for Montessori Children for a giveaway. Before I give you the details, let me hand it over to Simone to share a little bit about herself and the course. "Hi Kim. I’m so honoured to be able to share on your blog today. I love to share with others who practice mindfulness whilst raising their children. My name is Simone Davies from The Montessori Notebook. I’m a Montessori teacher and parent of two children (15 and 12 years old). During the day I run classes for parents and their toddlers to help them learn more about the Montessori approach. In the evenings, when things go quiet around the house, I sit in front of my computer and tinker a bit, sharing via my website, videos, Pinterest and Facebook what I have learned about the Montessori approach and positive parenting. And, in between, my favourite thing is to sit on the steps of our house with a cup of herbal tea and a book and watch the world go by. There is such a cross over between Montessori and Waldorf - respect for the child, bringing beauty into their lives, following their interests and rhythms, and creating rituals. When my children were young, I started to reflect on what kind of school environment I wanted for them. I’d been to a very classical school where you sat in rows, listened to the teacher and did tests. I’m an idealist and wanted more for my children. I wanted them to love learning; to be able to make discoveries for themselves; to follow their own individual development; and to support them on this journey. Montessori allowed for all of these things and living here in the Netherlands these schools (and Waldorf schools) are available in the public system. They could come into class and choose if they felt like starting with maths or language. They could work with a friend or by themselves. There were no tests as the teacher knew which lessons had been mastered and where they were up to. And with a mixed age group, the older children in the class were always available to help the younger ones, and the younger ones eagerly observed and learned from the older children. With no homework, we had time to have lots of lazy afternoons exploring parks and playgrounds, cycling around the city, and afternoons at home baking and crafting. I followed my children into Montessori and finished my training in 2004. I love working with babies, toddlers and preschoolers. And working with their parents too means that they can apply the same ideas in their homes. To include their children in daily life, helping to cook, learning to dress themselves, taking responsibility for their things as one of the family. One part of being a Montessori teacher is setting up the environment. 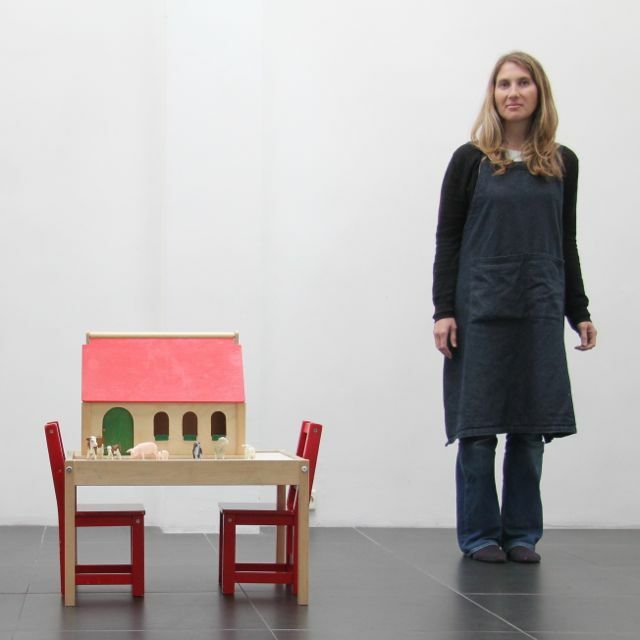 I sit on the floor to see how the space feels from the child’s height, what they can see, what is distracting, and how to make things as beautiful and attractive as possible. When you walk into our classroom, the shelves are low, the artwork is at the child’s height, and there are plants for them to care for. Everything is easy for the child to access by themselves, set up for them to be able to do so much for themselves - which they love! I’ve helped lots of parents set up their spaces too and run a workshop regularly here in Amsterdam. This year I decided put together an e-course so people can follow along wherever they are. It’s been so fun to help even more families create spaces that are beautiful, engaging, clutter-free, cosy and reflect their family culture. In the e-course, I draw on inspiration from my favourite blogs - including Kim’s! So Kim and I decided that it would be fun to do a giveaway and offer one of you the chance to win a free e-course to help you set up your spaces at home." To enter the giveaway, simply leave a comment below. I will choose a winner on Monday December 14, and announce it in this post. Please make sure to leave a way for me to contact you, should you win. "What a wonderful giveaway! 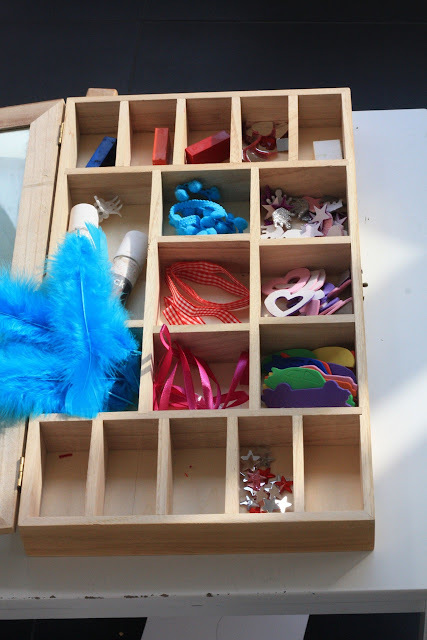 I use the Montessori approach with my little ones and I just love it. The emphasis on child-led learning while providing structure and facilitating a child's success... love it all! Thanks for offering this course!" Wowh! Love to win!! We live in an old former factory building, we turn it in to a loft like living space and need some inspiration for my lo's corner... Greetings from the Netherlands. Wow! What an amazing opportunity. Thank you to both you and Simone for offering this chance. You already know about Little Man and I've always a pull to Montessori, even more so with him. And thank you for introducing Simone's blog. I'll be sure to add her to my feed. LOVE IT!! Would love to be in the draw for an e course. Love the montessori philosophy. Have left Amsterdam and now live in a rural area of New Zealand. An e course would be perfect! I have been doing lots of reading lately on Montessori-- this seems a happy coincidence. What a wonderful giveaway! I use the Montessori approach with my little ones and I just love it. The emphasis on child-led learning while providing structure and facilitating a child's success... love it all! Thanks for offering this course! I would love it! And thank you so much for a chance! What a lovely idea for a giveaway. It's very generous. Thank you for the chance. Oh my! I like to think we've come a long way in our space, but I also think we have a ways to go. This would be a wonderful opportunity! My want for my daughter is summed up in this quote" I wanted them to love learning; to be able to make discoveries for themselves; to follow their own individual development; and to support them on this journey." This is why I love Montessori with my one year old. Thank you for the chance to leant more with your course. I'm glad I found this great opportunity just in time! Thank you Kim and Simone. I would really love to learn from you. Best luck to all. Yes, I love Montessori method!here in Italy there are some Montessory schools, but there are private and very, very expensive!I think that the method could be followed as well at home! I would love it! And thank you so much for a chance! I guess you will love my post too. here is my blog best pack n play reviews. Hi Kim, Thanks so much for offering everyone the chance to enter and to all these lovely people for entering. Congratulations Karen!